La Valise hotel in Roma, New Mexico. One of many restaurants and cafes that pepper La Condesa. Condesa DF hotel in La Condesa, New Mexico. Stunning architecture greets you as soon as you enter the foyer of Las Alcobas, New Mexico. Las Alcobas hotel in Polanco, New Mexico. Downtown Mexico, a 17th-century palace recently restored into a hotel in El Centro, New Mexico. While Mexico’s beaches and ruins are a powerful drawcard, there’s a quiet revolution taking place in the capital, with the newly hip neighbourhoods of Roma, La Condesa, Polanco and El Centro flourishing with design hotels and an exciting culinary scene. Margaret Barca reveals the best places to stay. This area has morphed in recent years from a low-rent neighbourhood into one of the city’s coolest colonias, studded with galleries, indie design stores, tearooms, restaurants, bookshops and wine bars. This isn’t its first heyday, however, as can be seen by some of its fine Belle Époque, Art Deco and Art Nouveau architecture. While it’s tatty around the edges, there are enough creatives to confirm its up-and-coming credentials. This cleverly curated, ultra-boutique hotel (a mere three suites) created by French expat and style-meister Emmanuel Picault, sits discreetly on a side street. The 1920s façade is ornate and formal, while Chic By Accident’s interiors are inventive, unexpected and witty one-offs. Black-and-white with blocks of colour (a sizzling hot pink wall, a vermilion rug), copper detailing, and black marble kitchens abound. 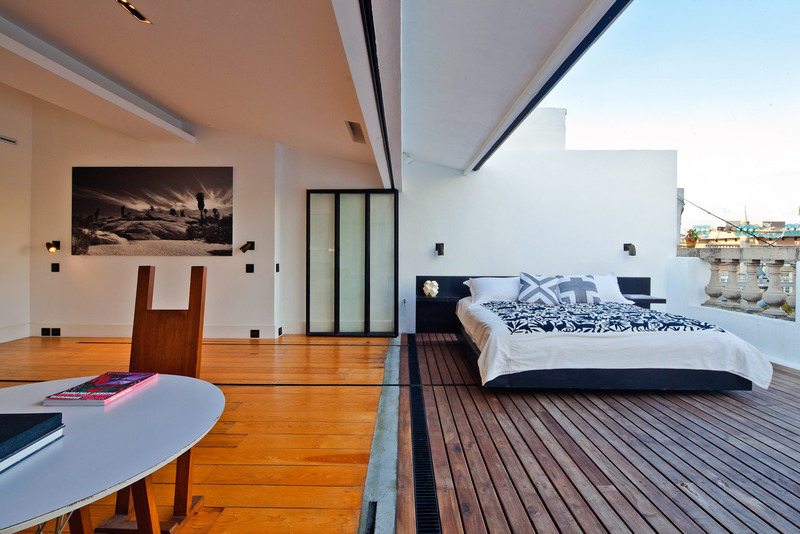 Apartment 1, El Patio, features a mini courtyard with a Yucatán hammock and trompe-l’oeil Escher-pattern tiles. La Luna has a room-height, time-worn satellite dish that pivots to divide two rooms, while La Terraza’s king-size bed slides on rails onto the balcony, so you can sleep outdoors. Room service is by nearby Rosetta, one of the hottest tickets in town under owner and star chef Elena Reygadas. La Valise has no pool or spa, but it exudes a distinctive, contemporary style. Best feature: We loved the sense of space and that you are in your own private apartment. To start the day, try Panadería Rosetta for conchas – a sweet, brioche-like bread – and excellent coffee. At the ‘centre for culture’, Casa Lamm, there are gallery spaces and a bookstore in a heritage building. The swanky Nueve Nueve bistro here serves mod Mexican and overlooks Casa Lamm’s sculpture garden. Cafebrería El Péndulo is a bookshop/café/bar with a formidable collection. Both the whimsical Casa Tassel salon de thé with its exotic infusions and the equally tiny Fournier Rousseau, an artisanal bakery, appear to have arrived direct from Paris and make a perfect mid-tour pitstop. La Condesa (the Countess) is a boho, upmarket residential colonia known for its Art Deco and Streamline Moderne apartments (often faded, but still charming), leafy streets and parks peppered with sculpture (not all of it fine quality). The district is amply endowed with cafés, taquarias, smart restaurants, corner bars and a welcoming sense of street life. 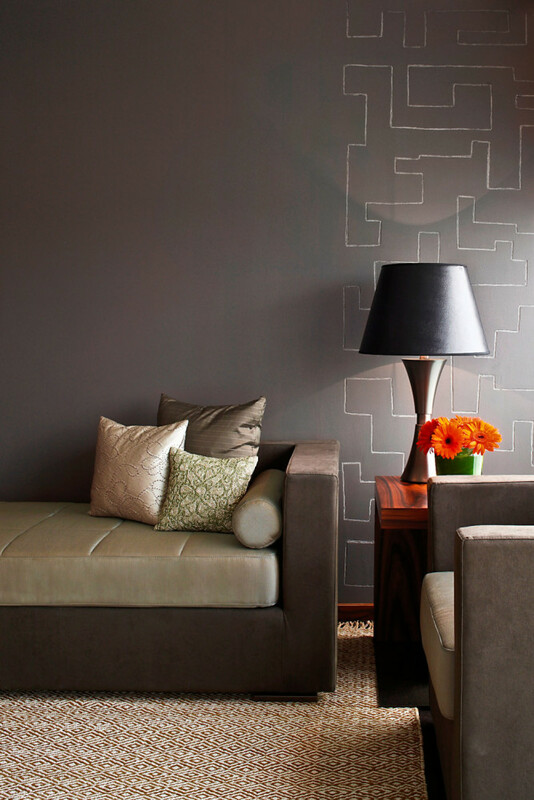 One of the city’s first design hotels, Condesa DF has moved from quirky new-kid-on-the-block to modern classic. What was once über-hip is perhaps now a little less so, but India Mahdavi’s interiors have definitely retained their cachet. The hotel hides its charm discreetly within a 1928 French-style Art Deco building, distinguished by curved, metal-framed windows and Maya-detailed façade. Interiors are light and airy, with the inner patio like that of a Mexican haçienda. 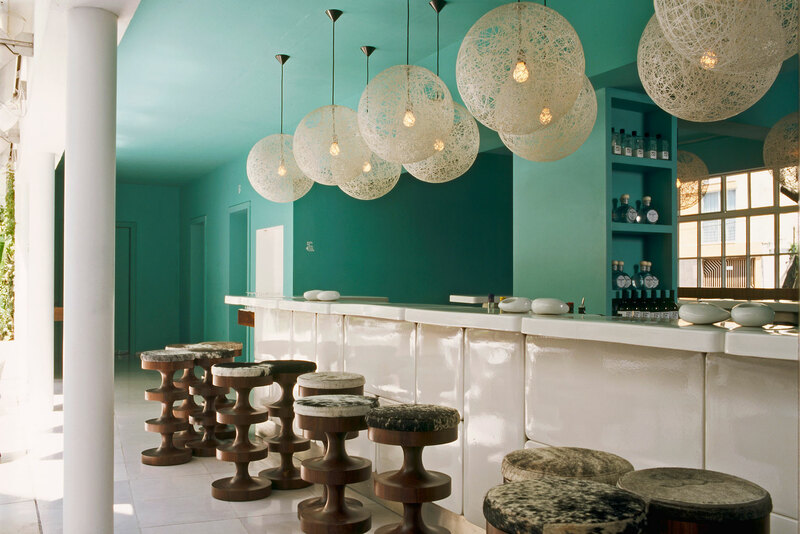 In the restaurant, El Patio, bold aqua walls and dazzling white reflect Mexican colour at its Luis Barragán-best. 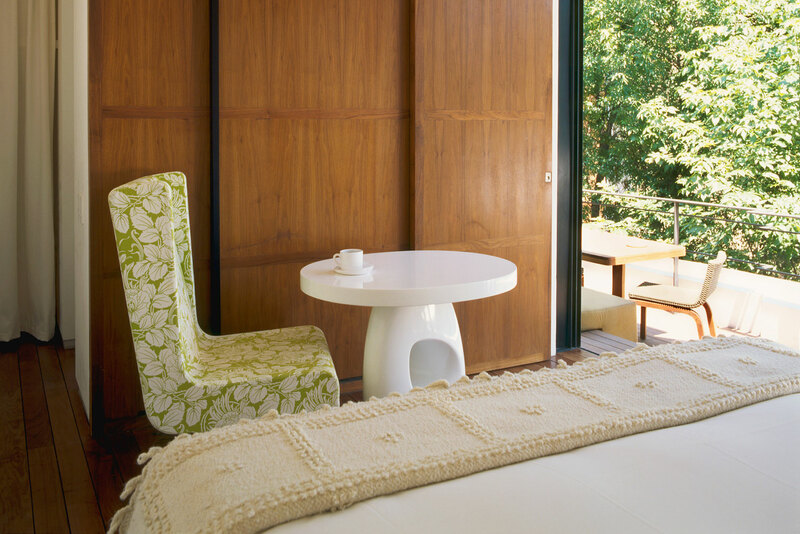 Guest rooms are minimal: white with dark polished boards. Size-wise, it’s best to opt for a Balcony View, the Top Suite or a Terrace Suite, with a private terrace looking into the jacarandas. There’s a hammam, bikes to hire, movies on Sunday evening and the shady Parque España across the road. Best feature: The rooftop balcony with its bar and leafy outlook. The lively restaurant La Capital caters to a sharply dressed, 30-something crowd. Fusion food with Mexican flair is pumped out of the kitchen at a cha-cha pace. The delicious take on a traditional lime soup is served with bowls piled with cubed avocado, queso, lime quarters and chopped chilli. On a corner that is a capsule of Condesa life, with an open-to-the-street tailor, slick little bar, smart restaurant and mobile coconut-vendor, you’ll find the tiny, friendly organic food café, Ojo de Agua, for mighty salads, mushroom burgers and restorative juices. Check out Galéria Vintage Mexico for vintage furniture, from leather trunks and quirky lamps to Mad Men-era Eames chairs. This is Mexico’s Upper Eastside (metaphorically speaking), the swankiest part of town where everything is a little ritzier, smarter and leafier. It has broad boulevards, five-star hotels, new-wave restaurants, embassies, celebrities, iconic brands (Bulgari, Gucci, Hermès) and lots of small dogs being walked. It’s ground-zero for fine dining and shopping, but also well placed for galleries and the wonderful Chapultepec Park. Refined and elegant, Las Alcobas is all international-design restraint and supreme comfort with custom furnishings and a minimalist Armani palette. 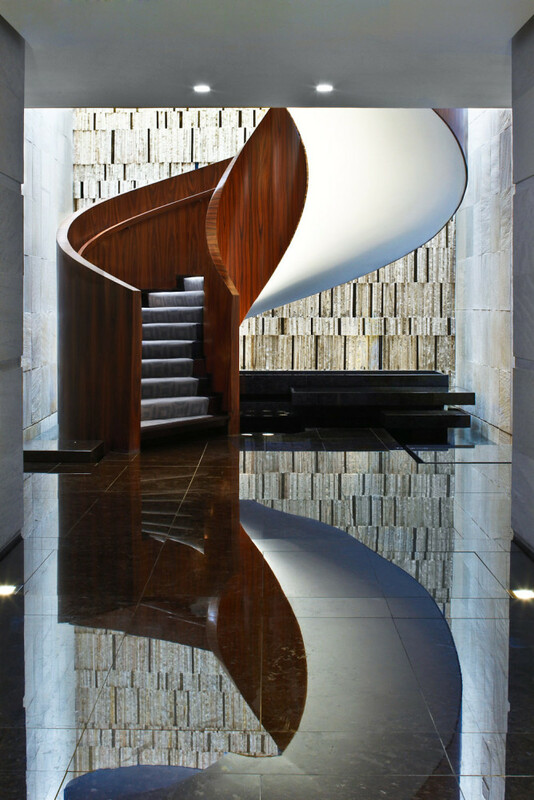 The foyer’s spiral, rosewood staircase is an object of sculptural beauty (page 87). Service is exemplary, with a subdued ambience that feels more business than holiday. Rooms are double-glazed, blinds slide silently, complimentary soft drinks and Mexican sweets fill the mini bar, while marble bathrooms boast rain showers, hand-knotted Oaxacan rugs and high-tech Bose sound systems. The swish Masaryk Suite, or the lavish Pasaje Penthouse (with indoor/outdoor fireplace) are the top-end options. Under chef Justin Ermini, Anatole caters to the A-list with sophisticated farm-to-table fare, while Martha Ortiz at Dulce Patria does traditional Mex with a modern spin. Toast the evening with a tamarind margarita. Best feature: The intimate Aurora spa with its indigenous treatments. Museo Nacional de Antropología in Chapultepec Park is a must. It’s brilliant: Aztec, pre-Columbia, Maya – it’s all here in a fabulous Modernist building. Don’t miss the park’s 19th-century castillo with panoramic views before visiting Museo Soumaya, billionaire Carlos Slim’s gallery, for its sculptural architecture, sheathed in hexagonal aluminium tiles. Pujol, chef Enrique Olvera’s fine diner, with its inventive Mexican menu (think smoked baby corn with crushed chicatana ant and chilli) is in the World’s 50 Best Restaurants (ergo you need to book). In a 1940s former residence, concept store Common People is the place for idiosyncratic fashion, art and jewellery. Mexico’s Centro Histórico, or El Centro, is the beating heart of one of the world’s largest and oldest cities, and it pulses with life. It’s grand – grandiose even – and a little overwhelming, but it’s worth basing yourself here for a day or two to be within walking distance of some of the capital’s most extraordinary treasures. Although hectic by day, it can be almost eerily quiet at night. Now part of a UNESCO World Heritage site, this imposing 17th-century palace has been transformed with an industrial chic make-over. The 17 rooms and suites, opening onto inner patios or with street views, are handsome if a little severe with their volcanic rock walls, clay floor tiles, timber beams, vaulted ceilings and stark modern furniture. The lighting tends to be very moody – OK, dim. Totally unexpected was stepping out onto the rooftop to find a lap pool, jacuzzi, canary-yellow sun lounges and brollies, pumping music and up-close views of colonial rooftops and church towers. There’s a lively rooftop bar, which can ramp-up on balmy evenings. 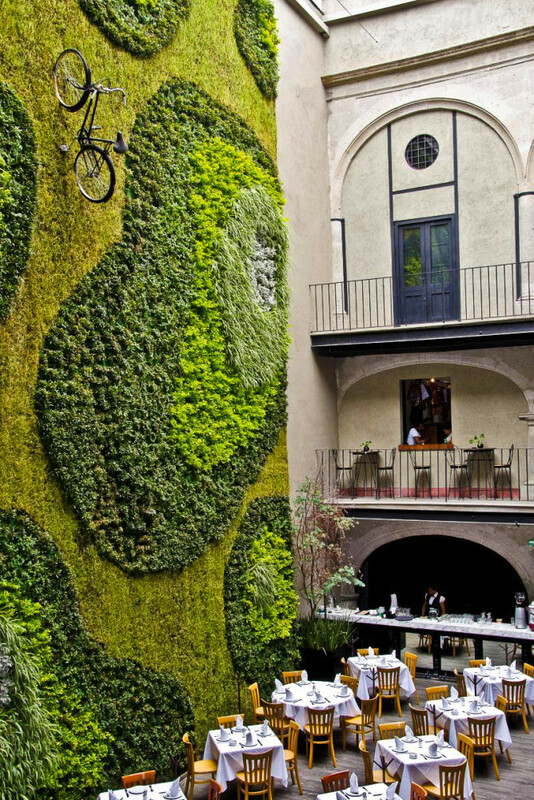 Padrino’s cantina, with its funky vertical garden, has a casual vibe and at Azul Histórico, beneath a canopy of trees in the courtyard, you can sample traditional moles with Oaxaca chocolate. Best feature: You can hit the tourist sites easily and early. The rooftop terrace is also pretty nifty. In Downtown Mexico’s arcaded galleries, shops include Harto Diseño Mexicano, a well-edited collection of furniture, fashions and jewellery; Caracol Púrpura with folk art; Biwua for silver jewellery and Que Bo! for handmade chocolates. Flanking El Zócalo, the city square, is the Catédral Metropolitana with its elaborate Spanish Baroque façade, begun in 1525. Diego Rivera’s famous murals capture the history of the Mexican people at the enormous Palacio Nacional. Nearby are the ruins of the Aztec city of Tenochtitlan and the remains of the 15th-century Templo Mayor.